So why not take the hassle out of some of the smaller things in life, leaving you with more time to look after the bigger, more important stuff? Here at uOpen, we have a range of convenient subscription boxes ready to make your life just that little bit simpler, while continuing to let you indulge the finer things in life. 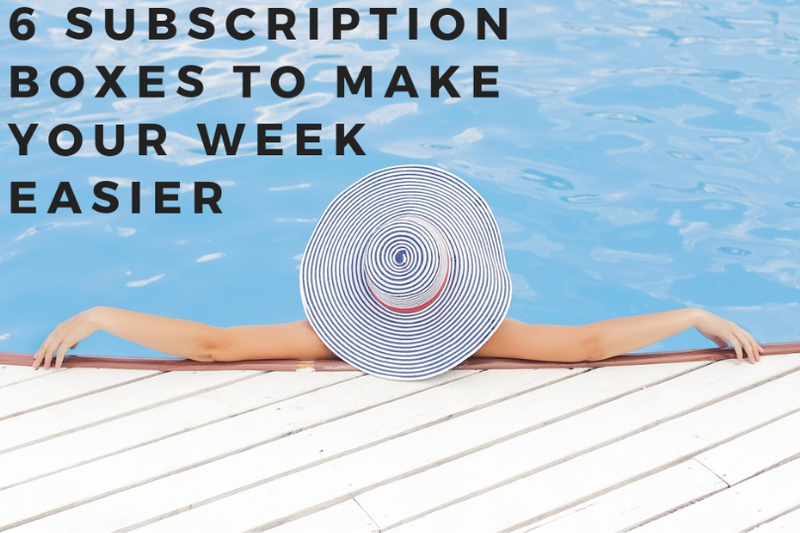 Whatever your personal time woes and worries, there’s a subscription box to help you take the edge off at uOpen - no matter how big or small. Save yourself the hassle of trawling around the supermarket on a Friday night, scouring the shelves and arguing over what’s on the menu. Instead, let Box’d Fresh deliver tasty treats directly to your door, stress-free to boot! Enjoy a fine selection of organic veg, free-range meat and poultry and sustainably sourced fish - all fresh and bursting with flavour through your letterbox each month. What’s more, all accompanying recipes are quick, easy, healthy and can be cooked from scratch in less than 30 minutes - it can’t get much more convenient than that! Love delicious cakes but don’t have the time (or skill!) to bake them? No problem, enter Meg Rivers Artisan Bakery. Sink your teeth into a different scrumptious, homemade cake each month without spending hours slaving away in the kitchen. The Cake Club subscription box from Meg Rivers Artisan Bakery is the perfect indulgence for any true cake fan, with each cake arriving delicious, beautifully decorated and completely hassle-free. Cake on your doorstep on a monthly basis, what more could you want? Never miss your morning coffee again with a monthly subscription to Blue Coffee Box. Every single month, enjoy a beautifully packaged delivery of 3 hand-roasted, speciality coffees from around the globe straight through to your letterbox. With tasting notes and interesting information about the origin of your coffee in every package, treat yourself to the best tasting and most ethical beans on the market. Plus, with a monthly subscription, you’ll never have to run to the corner shop for coffee again! Convenience delivered to your door. While it’s a commonly held sentiment that there aren’t enough hours in the day, there’s no one who understands it quite as much as the new parent. 24 hours, 7 days a week, these guys are living visions of nappies, baby sick, and crying - they definitely don’t have precious time to spend choosing a novel to unwind with when the baby is finally sleeping peacefully. That’s where the New Parent’s Book Box steps in, providing the perfect remedy for new mums and dads to kick back and relax for a few precious hours. Enjoy a beautiful handpicked novel delivered directly to your door, just for you - convenient, because you deserve it! You’ve got guests over for dinner but have just finished off the last of the gin. They’re arriving in 15 minutes. But thank goodness for your subscription to The Summerton Club, because guess who’s got a brand new bottle of truly unique, beautifully aged spirit ready to dazzle the dinner guests with? You do! The Summerton Club is the perfect way to fill your drinks cabinet with fresh new flavours, providing you with the most convenient way to expand your knowledge and taste buds - and save dinner! (Fun fact - you don’t even have to wait for a dinner party to enjoy it if you don’t want to, go on and treat yourself). If you can’t find the time to nip to the nearest shopping centre, it’s likely you’re severely in need of this next one. After all, what’s the age-old remedy to a busy, hectic day at work? Yes, you guessed it, a British classic - the ‘hot bath’. Is there any better feeling than unwinding after a long week with a soothing dip in the tub? Well, yes, actually. It’s filling up the tub knowing full well you’ve got your monthly delivery of dazzling bath bombs ready and waiting to dip your toes into. Sink deep into magical colours and wash away the troubles of the day with Soakbox. You’ll never have a boring bath again. Reduce stress, free up some time and treat yourself to a subscription box from uOpen today. You can browse and order all of the above boxes, plus plenty more, easily online. View our full range here. A tasty monthly delivery of all the ingredients you need to make healthy homecooked meals.